NOTES: This is the only version of Skydive ever created. Skydive was a member of the 1990 Sky Patrol team. 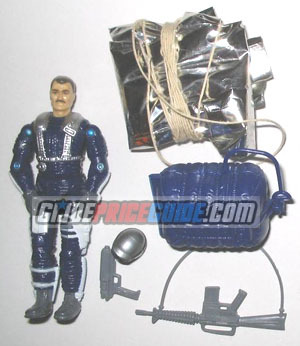 The silver parachute is often missing as with all of the 1990 Sky Patrol figures.